It resonates with our everyday classroom experience of the differences in the children we teach. It provides us with a flexible, organisational tool for planning varied, balanced lessons and units of work (how many ‘windows’ can we open on to the content of our lessons). It helps us to cater for diversity and to ‘reach and teach’ all the children in our classes. It enables us to help individual children build on their strengths. It makes us aware of individual children’s unique learning profiles and preferences. It makes us aware of our own learning profiles and preferences, and this in turn can help us to provide children with a more balanced approach when we teach. 1 The word ‘intelligence’. As educators, we should always try and guard against the danger of thinking of ‘intelligence’ as a ‘thing’ which children either have or don’t have, in greater or lesser measure. As Williams and Burden say, intelligence is a hypothetical construct and, in their view, it would be better if the word itself was an adjective or an adverb, rather than a noun, in order to reflect that people are more or less ‘intelligent’, or act more or less ‘intelligently’, in different situations. 2 The danger of labelling. We need to guard against the danger of using MI theory to label children e.g. He’s a visual-spatial learner. Any kind of label that ‘pigeon holes’ children tends to be ultimately inadequate, limited and limiting, sometimes prejudiced and, at times, also unhelpfully self-fulfilling. 3 MI as an end in itself. The third proviso is to do with seeing the development of children’s multiple intelligences as an end in itself. As language teachers, our main responsibility is to develop children’s skills and competence in English, or whatever foreign, second or additional language we teach. This means that the key application of MI theory to our everyday life in the classroom is the way that it can potentially provide, in Howard Gardner’s own term, ‘entry points’ to learning and ‘a powerful tool that can help us achieve our educational ends more effectively’. 4 What constitutes effective instruction. The fourth proviso is to do with erroneously thinking that a range of varied activities which appeal to different kinds of learners or ‘intelligences’ is sufficient in itself to ensure that effective instruction will take place. We also need to remember the importance of coherent learning objectives and outcomes, cohesive sequencing of activities as well as including clear examples and demonstrations, explicit modelling of thinking processes, opportunities for participation and divergent responses, and constructive feedback. 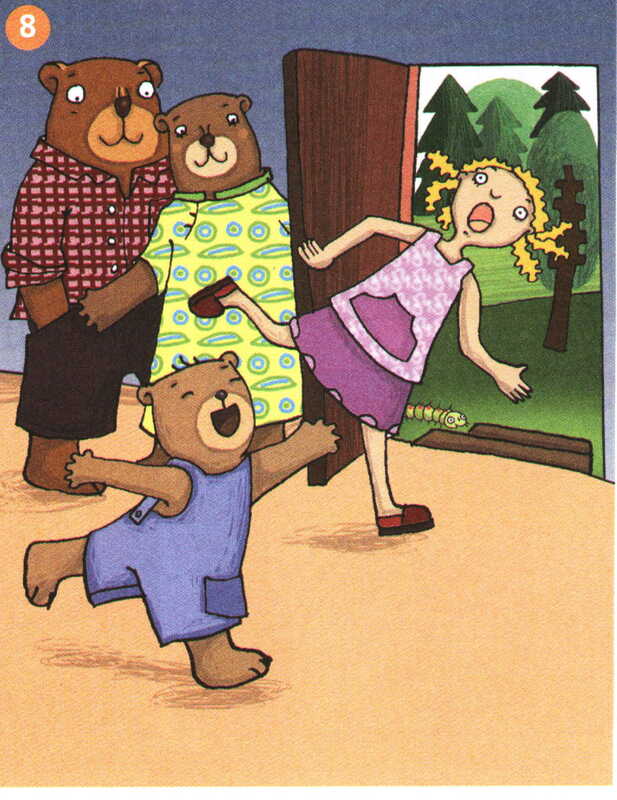 With all the above in mind, MI theory can nevertheless provide us with a useful planning tool that helps to ensure variety and balance in the kind of language input and practice opportunities that we give children.The practical example to illustrate this below comes from using the traditional story of Goldilocks and the three bears with a group of six-year-olds as part of a story-based unit of work. Although there is clear overlap between the activities and categories e.g. singing and acting out songs is verbal-linguistic and kinesthetic as well as musical, MI provides a framework that allows us to keep a healthy check on the range of activities we include. This is on the basic assumption that i) ‘variety is the spice of life’ (and learning) and ii) the more ways we find to make learning appealing, engaging and memorable for children the more effective we will be as teachers. Playing games e.g. Bear can fly! It would be interesting to hear your views of MI theory – whether for or against – and whether or not MI theory has any practical use or application in your teaching. Please do share your thoughts! See also Lindsay Clandfield’s Six Things blog for discussion on Six things about Multiple Intelligences that you might not know. Great post! I loved MI theory when I first heard of it. I loved the way it suggested that we are all some kind of intelligent. I think, as you have said the key is ‘variety’ when lesson planning think about your activities and what type of intelligences they cater for but don’t pidgeon-hole learners and the key to good teaching practice with YLs is variety. Love the way you break down the activities to show teachers the intelligences catered for. Scott Thornbury has an intersting post on Learner styles which is very interesting. Do you think that learners have styles or is this just hogwash? are they rather preferences? Great to see you back here again and thanks so much for your comments – and also for the thousand dollar question about learning styles – or preferences, or behaviour or approaches or what … and whether hogwash or not! I don’t think it can be hogwash because of the all too obvious fact that all our learners are different; at the same time, I think learning styles (which are different from ‘intelligences’) are a hugely complex area and yet they are often identified and interpreted in an over-simplistic way e.g. VAK and I’m wary of children being labelled (whatever labels are used). – we can engage children as active participants in the learning process which increases ‘ownership’ and is more likely to lead to new learning and improve memory and recall. I think you’ve neatly summed up what I believe. It’s my job as a teacher to make learning as interesting, engaging and memorable as I can. Catering to different senses, using different input, constantly being aware of opportunities for movement, creative thinking, doing, relating etc etc all come into it. Gardner’s frameworks are one way to scaffold that awareness for a teacher. Rather than label kids as visual/spatial, I think it’s more important to remember to include some visual/spatial activities. My belief is that we learners tend to slide up and down spectrums rather than conform to a box anyway. Thanks so much for this – I couldn’t agree with you more and that really is what all of this is about! I also totally agree with what you say about MI theory providing a framework to scaffold teacher’s awareness. For me that’s one of the main appeals of introducing MI on initial or early in-service teacher education courses as it provides an easily understandable (albeit not to be swallowed whole) framework for raising awareness and reflecting on learner differences and thinking about practical ways to plan lessons and units of work which might cater for these. I love your comment about learners ‘sliding up and down spectrums’ – great way of putting it. And there’s so much that this ‘sliding’ depends on – context, mood and moment, personality, motivation, learning content etc.. Thanks again for these rich thoughts. I think this theory makes good sense. I have 3 children that I can implement this with. Variety is the best way to go! there are obviously serious faults with MI theory, but there is one thing that becomes patently clear when you start to look at students with this different filter – exam/assessment systems all over the world cater almost exclusively for students who can count and spell. The result of this is that the majority of students leave secondary state education without having their best skills recognised and also somehow recorded. I realised this when I was recruiting actors for the English Teaching Theatre, many of whom had been rejected and discarded by traditional examination methods (mainly because they didn’t write well) and thankfully found that they could shine in performance. That still means that about half of students leave school without their best talents having been discovered. MI isn’t the answer to this – but if we insist on using testing systems which favour those who can write well and count, and don’t find ways of making children aware that their personality skills are important life/work assets, most children will not be well served by the system. Great to see you here! Thanks so much for joining in and describing your experience recruiting actors for the English Teaching Theatre – a sad but unfortunately all too true reflection of the way school and traditional exam systems only value certain types of learners. I also have an example of this in my family – my nephew who opted out of the traditional route and failed A levels etc but is a really talented singer and musician and got accepted to go to LIPA (Liverpool Institute of Performing Arts) started by Paul McCartney where conventional qualifications happily aren’t part of the entry criteria. I find that getting teachers to think about MI on teacher education courses also helps to raise their awareness about the inadequacies of testing as the only way to assess children, and the need for a more global approach in which tests, used judiciously, may provide a ‘snapshot’ of some aspects of performance at certain times but need to be balanced and tempered by longer term, formative ways of evaluating how children are progressing, and in the sense of the ‘whole child’ rather than just discrete skill areas. Although this can be done internally within schools though, it’s hard to see that the overall external testing machinery is likely to change any time soon. Thanks again so much for contributing and making this really valuable point. It seems to me whether or not it’s actually different “intelligences” or simply “preferences” at work is sort of irrelevant, but I think you do a great job of outlining the positives and cautions associated with the application of MI in YL contexts. Ken brings up a very, very good point about formal outcome assessments identifying and recording only a limited sub-set of the overall range/spectrum of important skills that we all actually have. National and international tests, however, have many stakeholders and change won’t come easily. On the other hand, what we can do in our individual classrooms is apply what is under discussion to how we assess our students. We have to ask ourselves whether or not we’re conflating methods with outcomes with the forms of our quizzes and tests. And unless you are specifically assessing ability with, or understanding of the given form, are there different legitimate ways students can express what they know? For example, I have a young EFL 2nd grader who lost her father to cancer four months ago. She is very withdrawn, will rarely participate in class and doesn’t like to do anything in written English that will be observed/judged by other students. But she does listen and read, and she loves to draw. So when it comes to our weekly vocabulary quizzes I let her make pictures to demonstrate whether or not she understands what the words mean. Recently, she’s started to add the words to the pictures. Many thanks for your positive comments and insightful contribution. Thanks also for recognizing so clearly the kind of balancing act in my post between wanting to acknowledge the flaws or limitations of MI theory and at the same time express how helpful and relevant I think it can be. I’ll definitely follow up on those references you’ve included too so many thanks also for sharing those. I’m not sure whether your question is rhetorical but I think there definitely are many different legitimate ways students can express what they know. I always remember going to a talk by Bruce Campbell, who wrote ‘Teaching and learning through Multiple Intelligences’, several years ago in which he recounted the case study (accompanied by a video clip) of a severely dyslexic girl, who was also very good at and loved dancing, and how she had eventually (after a long process and no instant miracles) learnt how to recognise and get letter shapes the right way round by expressing them kinesthetically through dance. Hi, This is really a very interesting blog! Iam interested in MI and its educational applications.Most works and literature deal with managerial and overall designing of activities . In addition to that , the classroom practices are more concerned with ways of presenting materials (teaching), rather than enabling learners to discover their intelligences and what appropriate learning strategies to master in order to progress. I say it is a matter of learning ( learner centered approaches)! Thank you again for lighting this candle! Hi there – many thanks for contributing and so glad you’re finding this blog interesting. I completely agree with you that there’s a distinction to be made between ways of presenting materials (often what MI related literature refers to) and things we do which enable children to discover learning strategies that suit them best (see last post on ‘L for Learning to learn’ for some suggestions on this for example). I agree with you that this is a matter of learning or learner centered approaches. The candle image is very nice too! MI theory has powerfully influenced my YL teaching and training since I attend one of your sessions on ‘How Children Learn’ at British Council, Paris in 2005. The way you demonstrated how we can use something small like a rhyme, chant or story as a springboard for whole sequences of work to develop children’s language and appeal to their differences was superb. I am referring to your ‘Pizza Train’ lesson sequences (which you very clearly outline in your book, ‘500 Activities for the Primary Classroom’). The range of closely connected activity sequences show how we can appeal to diverse learners in our classes in meaningful and concrete ways. I have found that raising trainee teachers’ awareness of MI theory on training courses provides ‘points of entry’ for them to approach primary language education in a creative, out-of-the-box manner. MI theory enables teachers to move away from teacher centred, passive classrooms which are not underpinned by communication and meaningful language practice. I have had a number of trainees who also raise the concerns you express in your post re the dubious assumptions behind MI theory (some citing references from interviews with Gardner himself). However, in my teaching experience children (and adults) do have over-lapping learning tendencies and preferences and by providing balance in our lessons, we ensure not to exclude any individuals from accessing concepts and key language. I also echo your comments re the need to appeal to a wider range of learning styles / MIs when it comes to assessment of children’s language learning. I agree that this is a woefully lacking area where mainstream schools (and many language schools) perpetuate traditional paper-based exams. I have found that even those who purport to subscribe to MIs in their regular classes tend to revert to more traditional procedures for language testing. That said, I discovered an absolute gem of a book while working on a teacher training course in Cambodia last year. I was preparing for a session on MI and found some highly principled, creative and inspiring ideas for assessing learners and appealing to a wide range of MIs. The book is ‘Multiple Intelligences’ by Mike Fleetham published by Pocket PAL. I’ve been able to incorporate lots of the ideas / principles into assessment sessions on primary training courses. I have also seen some of these ideas working very well in practice where the right ‘conditions’ for multi modal assessment have been established. Many thanks for all your thoughtful and insightful comments and for the useful references too. I share your views about how MI theory can open up teachers’ minds to teaching in a variety of creative, multi-sensory ways which help to provide a balance in our lessons and appeal to a diverse range of learners. If we surface the dubious assumptions behind MI theory from the start in teacher education sessions and not try to ‘sell it’ as a model of mind, then I think teachers quickly see what a useful pedagogic planning tool it can be despite the limitations. Interesting that you remember the Pizza Train from Paris (I was there again only last week!) and part of the point of working through that lesson was also to show how a simple rhyme or chant can be a springboard into a whole sequence of activities rather than just a ‘one-off’ event. This also helps to make teachers aware of how they can make positive ‘mileage’ out of their materials. I also use the MI matrix as a checklist to ensure a rich variety and balance of activities in other types of lessons too – particularly these days content or CLIL lessons, where it’s important that the content doesn’t make the lesson ‘dry’ and activities are just as motivating, enjoyable, personalized and communicative as in other lessons. I completely agree with you that where it often all falls down is in the assessment – we teach one way and then we’re obliged to assess, or fall into the trap of assessing, in another. I’m a big fan of Mike Fleetham’s work – ‘How to create and develop a thinking classroom’ (LDA publications) is one I particularly like so many thanks for sharing the reference for his book on MI too which I’ll definitely follow up especially if there are some innovative ideas which can be incorporated into sessions on assessment. Many thanks again for a great contribution.